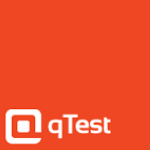 qTest is a robust test management solution that makes sophisticated functionality available to all testers. With qTest, one is able to cover all aspects of software QA processes, including managing requirements, designing test cases, planning test execution, tracking defects and generating reports. qTest delivers all these features with a simple and intuitive user-interface. Design test plan, create, edit and manage your test cases, view traceability, submit defects, report and much more, all from one solution. qTest also enables to proactively assign tasks so there is no question on who is responsible for what. With pre-built integrations into the leading ALM and defect tracking solutions, easily collaborate with other teams who are involved in the software’s lifecycle. Test Planning - intuitive interface, quickly set up project resources and milestones, fully integrated with the requirements module of test management tools. Assigning Tasks With qTest - project test managers can assign tasks when creating test cases, composing requirements, or executing test runs. Test Case Management - automatically synchronize test cases with your project’s requirement structure. Test Case Versions and Approvals - enables to create multiple versions of a test case, so they can be executed for different releases, customer environments, or testing configurations. Creating Test Runs - allows to select the requirements of the build’s scope or fixed defects, and qTest will automatically add the associated test cases into your test suite execution interface. Executing Test Runs - features TestPad, a miniature version of the text execution module that can display next to the target application and provide a compact view of the steps that need to be executed where you can also mark results, update test cases, and create defects. Filtering and Tracking Test Results - Retains a history of all test runs, execution sessions, and associated defects. You can filter, track and review execution sessions and filter by test result status, test type or defects. Managing the Defect Tracking Lifecycle . Advanced Query and Search - comes pre-configured with the most common queries. Pre-packaged and Customizable Reports - Comes with several pre-built reports, All reports can be exported to Excel.